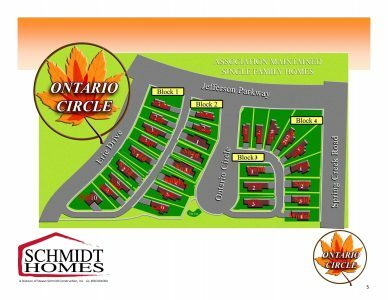 Architecturally reminiscent of St. Paul’s charming vintage neighborhoods, Ontario Circle features thirty-three affordable, innovatively designed bungalows (cottage homes.) Nestled in the rolling hills of Northfield’s Spring Creek Valley, these unique, energy-efficient residences are association-maintained for a carefree lifestyle. 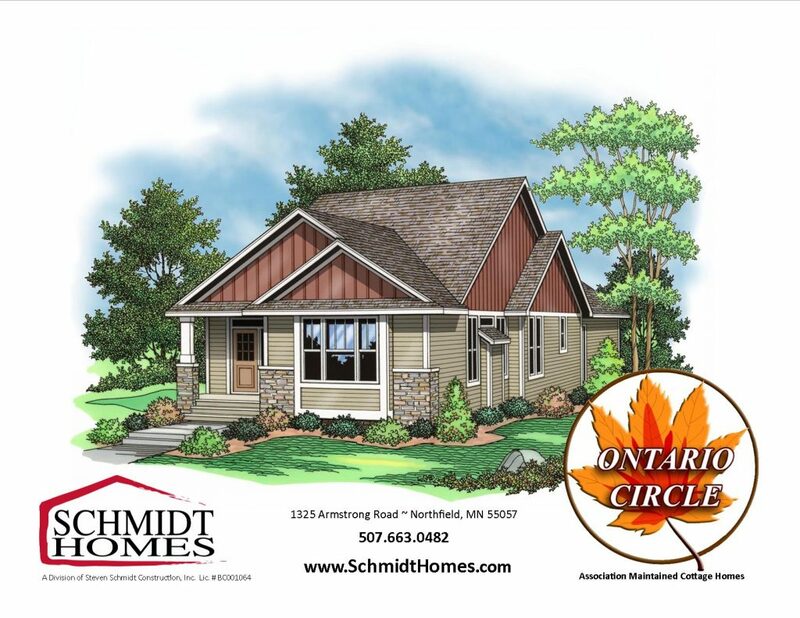 Schmidt Homes offers a variety of cottage home plans including two-stories, ramblers and modifided two-story layouts. Inviting front porches encourage social interaction; garages and driveways are served by a private back alley. Schmidt Homes’ cottage homes are the most original and exciting designs in the Northfield area. Drive through the streets and enjoy beautiful colors, front porches, and private alley access to the garage. There are one-story and two-story plans to choose from that can all be modified to fit your lifestyle.